Purpose-built cars made out of a necessity to adapt to a way of life are usually the kind that only attract their immediate target audience. Take the northern parts of Europe for instance. With a bitter winter every year where temperatures can easily reach -20 degrees celsius (even with the sun shining bright) snow and ice on the roads is very normal. Road conditions themselves aren’t exactly ideal with mounds of snow accumulating on the side and of course, for some the less used paths that dot the countryside are the only way to actually get home. In the late 90s, when the SUV body style as we know it today was just barely starting to catch on, and all-wheel-drive cars were still in their nascent stages in the mass market scheme of things, most parts of northern Europe needed something that would work really well in the winter and work equally well through the rest of the year. Sensing an opportunity in the market for a ‘multi purpose vehicle’ that wasn’t van-like, Volvo decided to take its V70 station wagon, raise it a bit with some chunkier suspension, install all-wheel-drive and some plastic clad bumpers and voila! 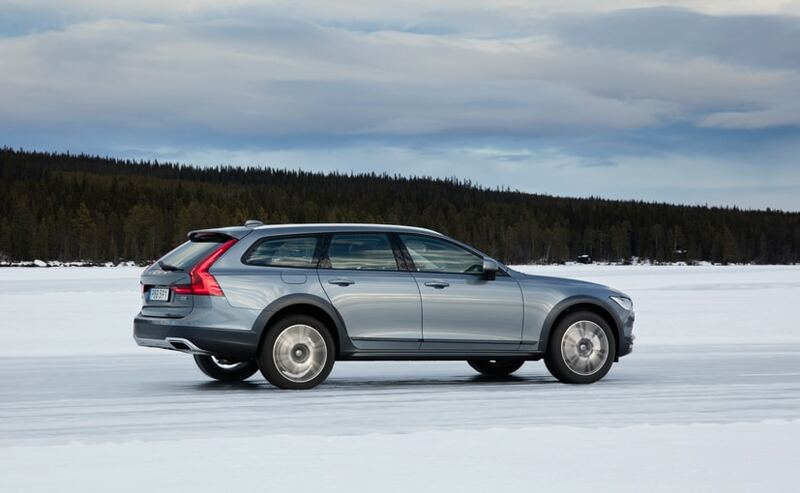 – the V70 Cross Country was born. 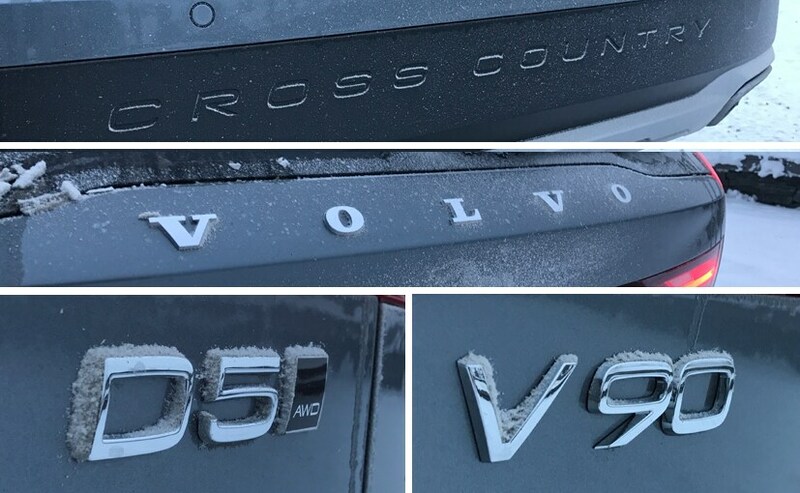 In fact, the XC nomenclature that we have come to associate Volvo with today was originally used for the first time on the V70 Cross Country (X-Cross and C-Country). That was in 1997. Fast-forward 20 years to 2017, and Volvo has decided to update its model portfolio and the Cross Country badging is now offered on the V90. And yes, it is the V90 Cross Country that is coming to India! The standard V90 is essentially the wagon version of the S90 sedan that won the 2017 NDTV Design of the Year and Premium Car of the Year. It is also a finalist at the 2017 World Car Awards for the Luxury Car of the Year. And the V90 Cross Country is the pumped up and beefed up version of the standard car with plastic cladding, different bumpers and of course, a raised suspension too. 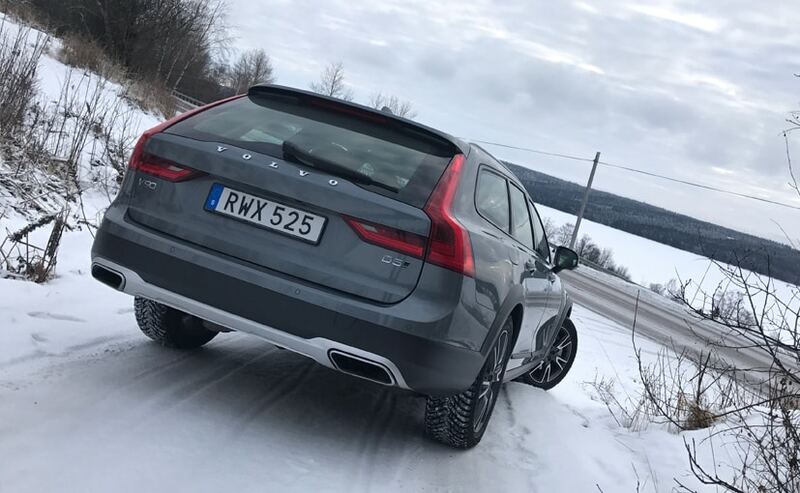 The V90 Cross Country also gets silver scuff plates on the front and rear bumpers and in the case of the car seen in the pictures here, studded winter tyres that are an essential for driving in the snow or ice. 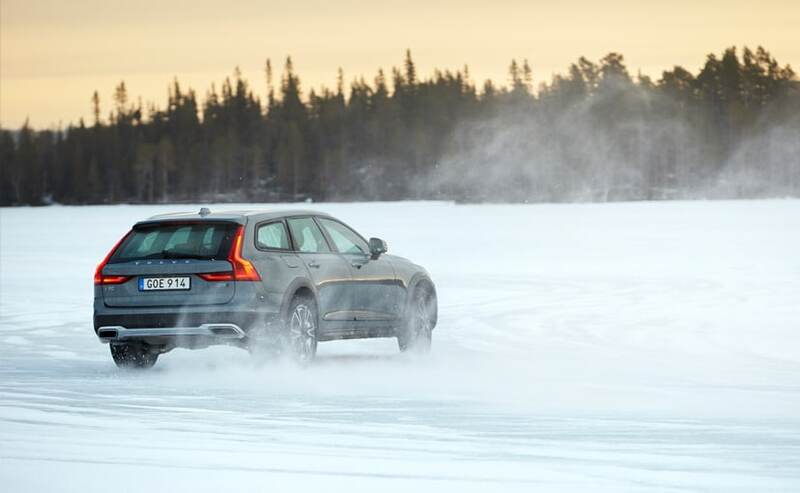 In fact, the V90 Cross Country takes the V90 and its pure design and makes it just a tad bit more ‘Mad Max’. The sides also get a set of plastic skirts and of course, like you would expect with anything of this nature, you get some plastic wheel arch extensions too. My favourite part of the design though has to be the rear tail lamps that are identical to the normal V90. See one of these in the distance and there is no mistaking what car it is! The interior is identical to the S90’s. Globally there are two interior colour trims – the black package with the dark wood and black leather interiors /plastics and the one that is likely to come to India – a brown leather package with a lighter unpolished wood combination. 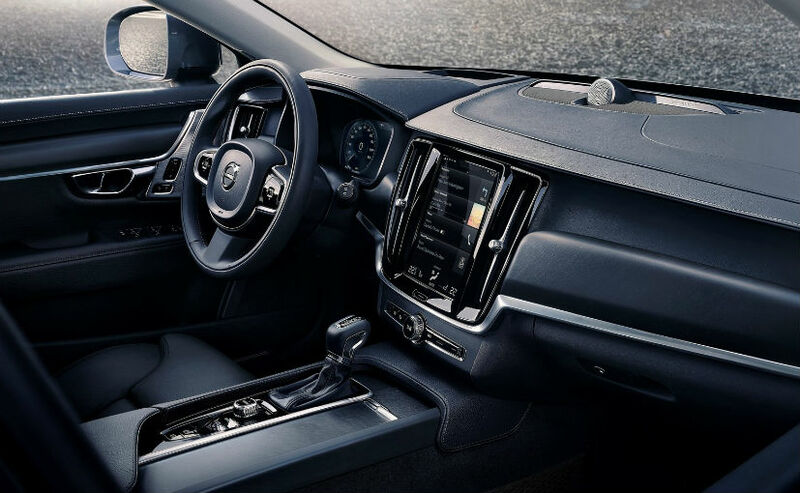 The V90 Cross Country still gets all the features we love, including the Sensus system with that huge super responsive touchscreen for navigation and infotainment. Of course, as expected, the car also gets Apple CarPlay as standard. The V90 Cross Country also gets a set of extremely comfortable seats, which in Europe get a heated feature (and so does the steering wheel). The V90 Cross Country also gets a lot more space in the rear and of course a tonne and more of luggage space as it is after all, a station wagon. Numbers? With the second row in place, you get 560 litres of boot space but fold those down and that figure jumps up to a massive 1526 litres! Coming back to the rear seats for just a bit though, there is a lot more space than the S90 sedan offers because of the higher roof line and also considering the fact that the car is slightly higher overall than the sedan, getting in and out of the seats seems like a breeze. We think this could actually work in Volvo’s favour, especially with the older audience base that the V90 Cross Country might attract. In India, the V90 Cross Country in India will come completely loaded to the brim. 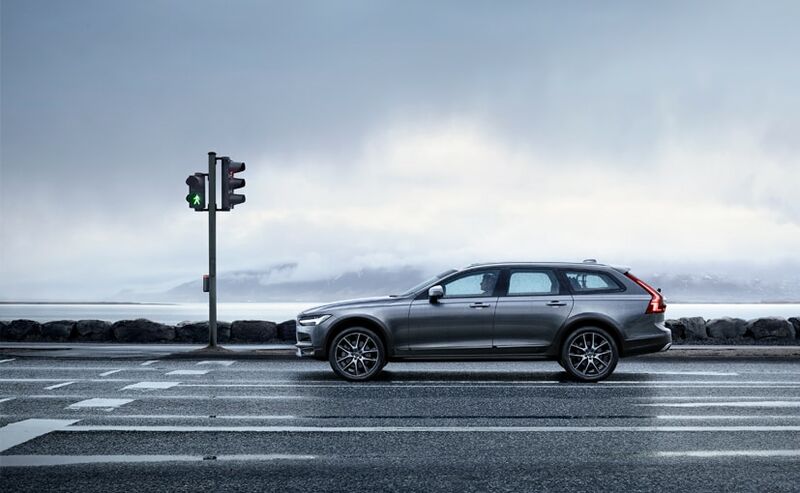 This includes the radar-guided cruise control that was originally prohibited for use in India, but has been recently allowed on the likes of the XC90 T8. The car will also have the large panoramic roof, the head-up display (which we think is a great feature for any car) and the premium B&W audio system that effectively turns the V90 Cross Country into the Sydney Opera House. So what is it like to drive? Well if you had to explain the V90 Cross Country in a word, it would be ‘comfortable’. The V90 CC is genuinely one of the best sprung cars this side of the Rs 75 lakh range that we have been in. The Indian spec will not get the standard suspension but instead will be offered only with the higher spec self-levelling air suspension. This means that even if the car is packed with five people and a lot of luggage, the ride height will remain constant. This will also mean that the V90 Cross Country will have the ride quality to take on most Indian roads and iron out (most) bumps and potholes with relative ease. The other plus point is the raised ground clearance it has to begin with. Now from the pictures, it might not look much, but at 210 mm, the car has more ground clearance than the likes of the Audi Q5 and to put things into perspective, even more than the Tata Hexa! That said, the high ground clearance might be a little affected in real life performance by the fact that the V90 Cross Country is a long car and has a long wheelbase. 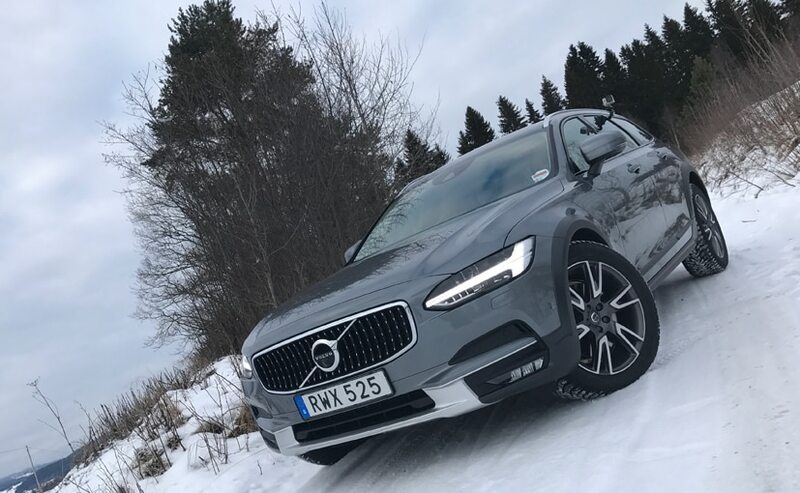 Everything about the V90 Cross Country is aimed at making it an easy and effortless car to drive. The light steering wheel for example may not give the best feedback while I was sliding around on the ice like a certain Mr.Ken Block, but on the road it had just the right weight to warrant minimal steering input. Even parking the large V90 was easy with the 360 degree cameras combined with the light steering wheel. Of course as you go faster, the steering does weigh up slightly. The V90 CC also gets driving modes like Eco, Rough Road, Dynamic, Comfort and Individual and the difference in engine and suspension settings is quite recognisable. The V90 Cross Country in India will come with only a diesel engine to begin with. The 2.0-litre engine though is not the D4 spec that comes in the S90 but a more powerful D5 spec which makes 235 bhp. 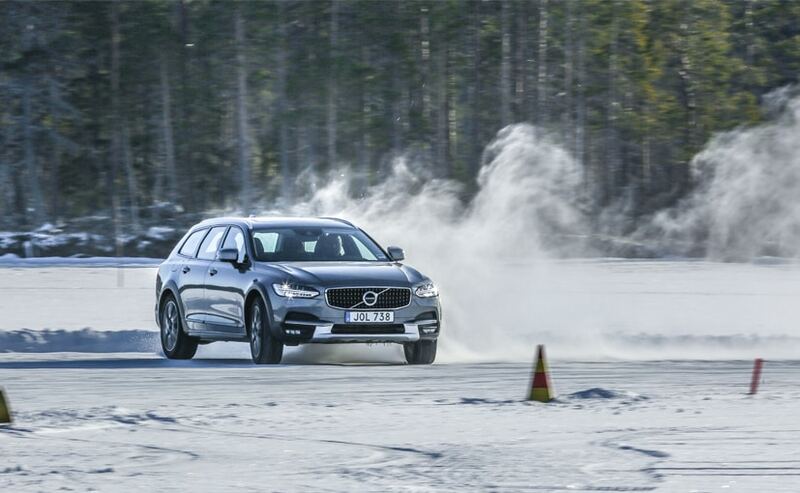 In fact the V90 Cross Country is even more powerful than the D5 spec on the XC90! With minus 20 degrees iced up conditions, pushing it to any limit was out of the question. But in terms of sheer drivability, the V90 Cross Country did settle down really well and was quiet enough to enjoy a hushed conversation in. But when we did find the need to slam it slightly to overtake an ever-so-careful tourist in a rental, the 480 Nm of torque gets it up to speed quickly. All while maintaining a dignified calm! After all, the V90 isn’t exactly meant to excite race car drivers but to make sure the race car driver can get back home with their family, dog and the weekly shopping safely in the back (and in sheer comfort). If your want to be fussy, the only thing the V90 CC lacks is paddle shifters. But then think about it. Does a jumped up wagon really need a set of paddle shifters? Not really. So the verdict is simple. The V90 Cross Country is the ideal car for someone who does want a large-ish vehicle but doesn’t quite like the idea of lugging around a full sized SUV. It is also the ideal car for someone who does not want to go with the herd and buy a German premium car. Now, even though we really like the concept of the lovechild between a wagon and an SUV, the cross wagon market in India is a niche inside a niche, but one that has never been explored. The V90 Cross Country will make it to India by May 2017 and will be priced around Rs 65 lakh. 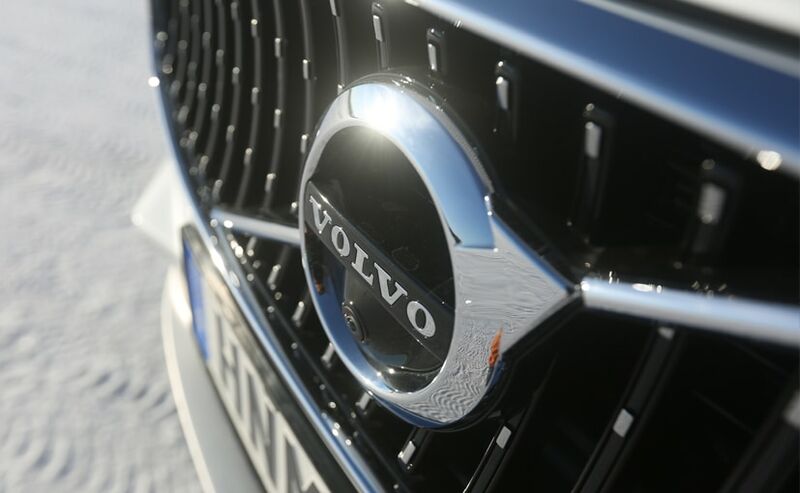 Volvo plans to sell about 100 cars by the end of 2017 and if the V90 Cross Country does prove to be successful, it will trigger Mercedes-Benz and Audi to bring in the E-Class All-Terrain and the A6 All-Road respectively. We think there is certainly a market for these pumped up luxury sedans/wagons - or at least there should be! And even though Volvo plans to sell just a few cars, we are sure their customers will get exactly what they have been looking for. Even those who don't quite know it yet, or as Bono sang - still haven't found what they're looking for!